"I'm learning a lot faster than in chess class. Now when I'm playing games I can plan ahead and do moves I've never done before. 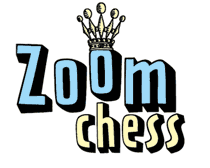 ZoomChess is fun and I'm enjoying it! I finally beat my mom."